This course enables students to investigate the structure and function of human body systems and other major organs, explore the properties of matter and changes in matter, develop an understanding of the various forms and sources of energy, and investigate forces that act on structures and mechanisms. The students are introduced to the scientific method and regularly participate in hands-on laboratory activities in order to develop their investigative, communicative, and critical-thinking skills in science. In each area of study, the boys are also challenged to analyze the impact that science has on society and the environment. This course enables the students to analyze and observe the biodiversity of living things, investigate the principles of flight, and focus on the past and present-day contributions of space science and its effect on human life. The boys are given multiple opportunities to participate in lab activities, with an emphasis on following proper protocol and safety techniques. Our goal is to develop life-long learners who are both mindful and considerate of the interrelationship between science and the real world. This course enables students to enhance their understanding of the concepts covered in the following core units: interactions within the environment, structures, pure substances and heat; and the interrelationships between science, technology, society, and the environment. Through scientific experimentation and inquiry, students are given the opportunity to engage in laboratory activities and develop the communication and interpersonal skills needed to excel in science. This course enables students to enhance their understanding of systems in action, fluids, cells and water systems, and of the interrelationships between science, technology, society, and the environment. 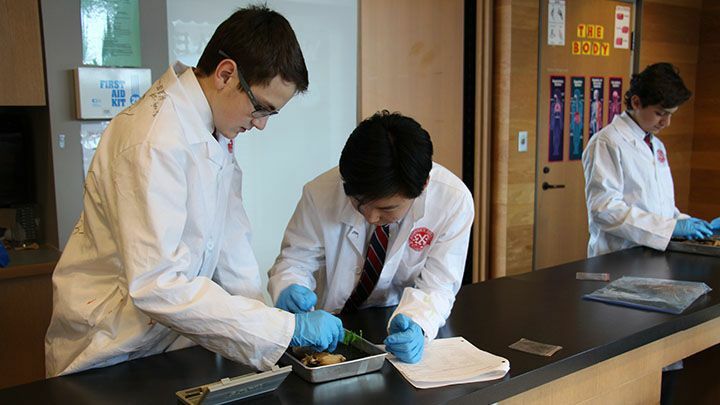 Students are given the opportunity to develop their scientific investigation and inquiry skills needed to perform laboratory experiments and follow proper dissection procedures. 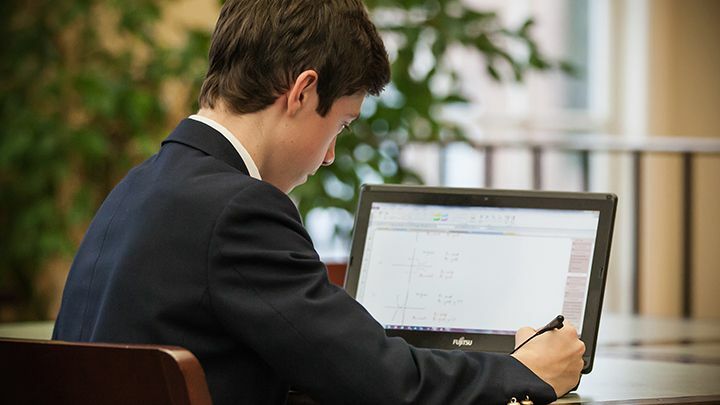 Our goal is to give boys the foundation to excel academically and technically in the rigorous Upper School science program.